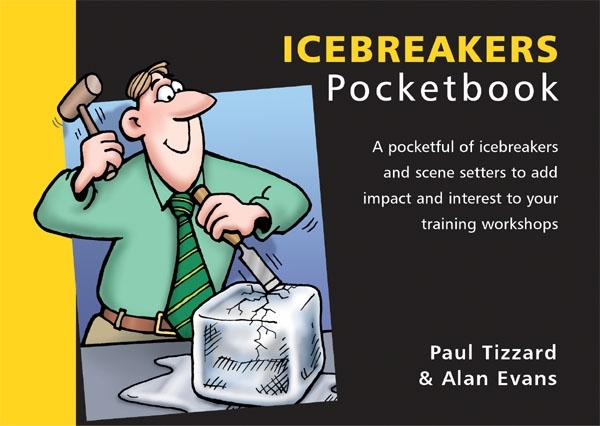 The Icebreakers Pocketbook contains some 40 original activities that will enable trainers to add impact to their training workshops. The activities are grouped together according to their suitability for particular areas of training, for example: assertiveness, communication, coaching & mentoring, people management, teams and trainer training. For each activity the authors describe the aims, outcomes and relevance of the learning, and provide full user instructions along with information on timing, number of participants, materials required, necessary trainer knowledge and possible variations. Most of the activities take between 10 and 30 minutes to complete. There are those suitable for small groups and those appropriate for any number of people.